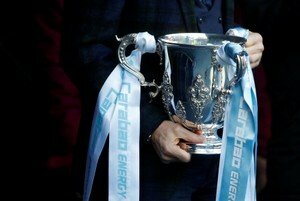 Rotherham United have announced the date and ticket prices for our up and coming Carabao Cup First Round game against fellow promotion side Wigan Athletic. The pair last played each other in this competition in August 1993 when it went under the guise of the Coca-Cola Cup and was over two rounds. The first round, at Springfield Park, was a one-nil win for Rotherham with Des Hazel scoring the goal. The second leg at Millmoor saw the Millers get a four-two win with goals coming from Ian Banks, Nicky Law, Imre Varadi and an own goal. The game will take place on Tuesday, 14th August when it will be a 7.45pm kick-off. Juniors – £1 if bought on the day. Tickets are NOT yet on sale so keep an eye on the Official Site for that.